All rolled into one and neatly packed away behind your kitchen cupboard door. For smaller kitchens, or minimalist designs, a built in washer dryer is perfect for packing a 60cm width space with all the washing and drying technology a household could need. There is little to compromise on too with large wash capacities and drying loads so that you can breeze through the stack of clothes and get back to enjoying what you love most. 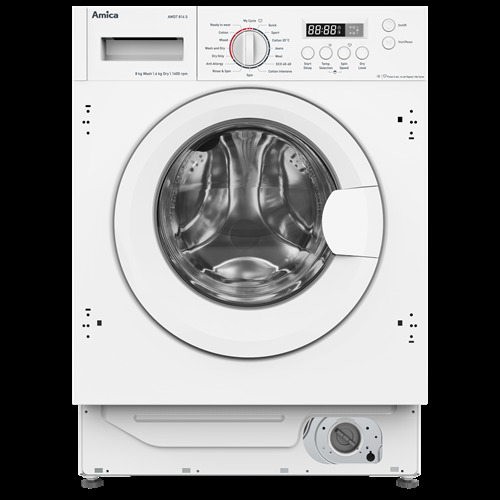 The AWDT814S is an integrated washer dryer. It comes with a 1400rpm , a 8kg wash load and 6kg dry load. Also included is a delay timer and safety key lock. Amongst the impressive 16 programmes there is turbo wash, extra rinse and start delay, giving you every laundry feature you will need in one space.